When you need a term paper within 24 hours, the last thing you will want to do is work with a paper writing service that can't get the job done. Unfortunately, most writing services don't have the staff members, let alone the process and tools required to deliver expert level reports in a timely manner. As you learn more about our process, you will soon understand why so many students rely exclusively on us. As you look over our site, you will notice that we offer chat, email, and many other contact types. To get started, simply select one of these methods, and send us the details for the paper. We can usually give you a cost and time estimate within minutes, as well as any other details that you might need. In addition, one of our staff members will always be on hand to answer your questions and help you gain a perspective on the assignment. During the writing process, we will follow the exact timing and stages required by the professor. No matter whether you need an outline by a certain date, or other portions of the paper completed, we will get the job done on time. All you will need to do is pay our small fees, and then turn in the written work to your professor. If at any time you receive comments from your professor, we will always listen carefully and make sure that we produce the best work possible. Once the paper is written, we will proofread it with utmost care, as well as ensure that all of the formatting guidelines have been followed. Aside from providing you with electronic files, we can also arrange custom printing services, as well as anything else you might need to complete the project. Needless to say, if you require last minute revisions, we will also be happy to do those for you. Today, professors use a number of methods to try and spot students that hire a writing service. This includes creating min-deadlines as well as using various forms of feedback in order to generate certain types of responses. At our company, we will always go through the exact stages required so that you never need to worry about any of these issues. 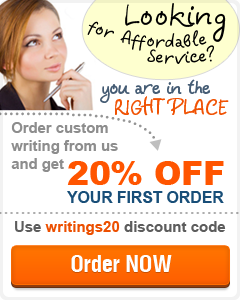 Contact us today to learn more about our writing process as well as all that we can do for you.